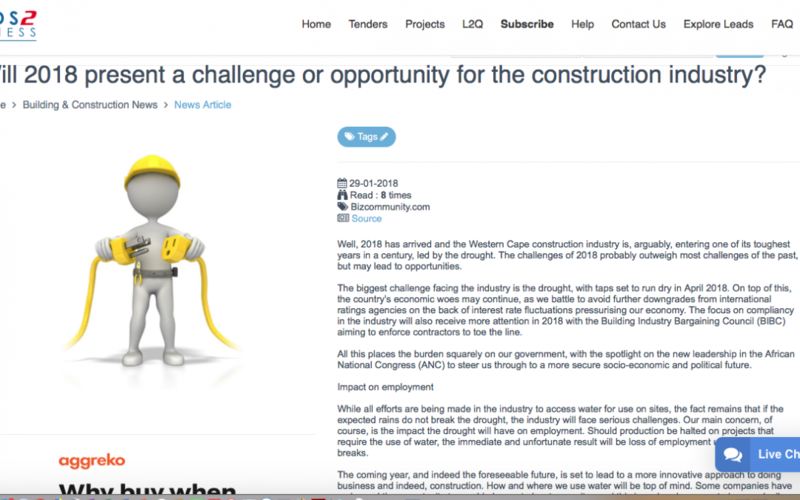 Well, 2018 has arrived and the Western Cape construction industry is, arguably, entering one of its toughest years in a century, led by the drought. Will 2018 present a challenge or opportunity for the construction industry? The challenges of 2018 probably outweigh most challenges of the past, but may lead to opportunities.